I spent Saturday morning with my local ham buddies operating portable at a park in Lynn Haven FL. See the post on W4RYZ.org While at the park, I worked Jim K4AHO in Orlando. We had a pretty long CW QSO on 40 meters. Jim is heading up the QRP forum at the Orlando Hamcation. I had also worked Kelly K4UPG from Orlando last Saturday from the rocket Launch. Sunday, I worked Bobby AK4JA on 60 meters PSK. I also worked Jim Clary ND9M in traveling in KY. He was the K3Y/4 just prior to my turn as K3Y/4. He also returned the favor and worked me. Monday, John K4KQZ and I made some progress on setting up for a sked to work each other on 60 meters PSK. John and I go way back and meet each year at the Huntsville Hamfest. 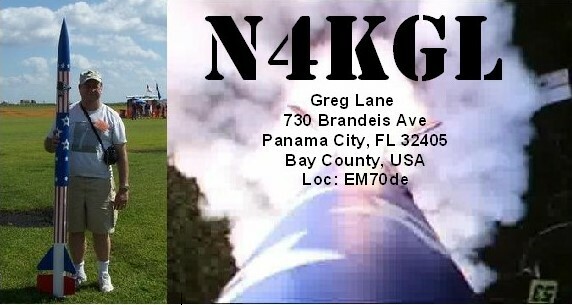 I also met a new ham to me on 60 meters KJ4UDD Neal in Dothan, AL. Any ham from Dothan is interesting to me as that is my hometown. Neal was running a KX3 on 5 watts for the QSO. So we have the same rig and he has an Alexloop like I do to boot. I hope to meet him to do some portable ops sometime.My last QSO on Monday was with Sonny WB4NKU in Ft Valley GA. I also exchanged emails with Jerry N4EO in Tennessee and Tom WD0HBR from Dothan during the weekend. So all these folks have me as a common friend. A small world story is at the August 2012 Monte Sano QRP event that Craig NM4T setup, Bobby AK4JA and Sonny WB4NKU were there. In fact, Bobby operated my KX3. We did not get introduced until recently when we met on 60 meters and pieced together that we were at the same place within a few feet of each other. It turns out many of the folks I mentioned here were at that event. I look forward to a return in August 2013. We all know each other even better now. I am also looking forward to Going to Orlando Hamcation with Marv KK4DKT and meeting Jim K4AHO and Kelly K4UPG and more of the QRP folks down there. It was a good three day weekend and I enjoyed all the contact with my ham buddies. I hope all of you had a good one. Lynn haven FL Portable Ops. The three poles hold up a 88 foot ribbon cable doublet.